I was about to order the deal at Asda for £5 but came across this. Only 3.50 per bottle! Yeah, it's just nice scented water. Leaves the house smelling lovely. You put scented ironing water in your steam cleaner? I just use the scented ironing water. You're already blasting stuff with steam. Unless you're cleaning a hospital, that should be enough. Will these fit Nilfisk PWs with an adaptor? Any deals for a one that cleans carpets? Just to refresh it now and then. Thank you in advance! Can honestly say vax customer care is fantastic .My washer developed a leak with 1 month remaining on warranty. Replacement organised over phone with latest model and all new accessories on next day delivery. NO inspection of old unit just asked if I would dispose of it myself. Where handhelds are concerned shark's or Dyson's are the best. But not as good as an upright. I only need a small handheld for very small jobs; have a meile for real vacuuming.. if You are right worst case will buy another meile as its still cheaper and better than a Dyson. I got a refurbished v8 of eBay. It was like new and 1 year warranty. Seriously don't get a Vax blade . They just about ok on carpets. On hard floors they are useless. I rang customer services and got told you need to clean the sponge filter out everytime you use it, to get maximum power. A joke. Dyson is way too expensive so will see if this is good enough for the small jobs. Absolute garbage. I bought it to replace my aging Dyson dc35. Had problems picking small things think tiny stones. Anything with slight weight, soon as you turned it off bits would drop back on to the floor. Ended up buying a Dyson v8. The Vax is just a toy. Rated from A to G, the rating shows how effective the vacuum is at picking up debris on hard floors such as tiles and laminate flooring. 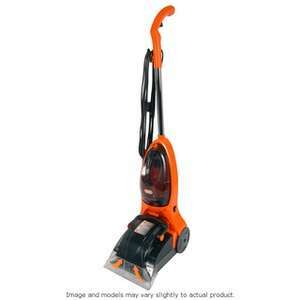 The closer to A means the more debris the vacuum will pick up overall, leaving your floors nice and clean. Thanks Google https://www.amazon.co.uk/Hoover-Hurricane-Bagless-Upright-Cleaner/dp/B018621HI2 Please Google it yourself. If it was up to me they would give CFM volume airflow. 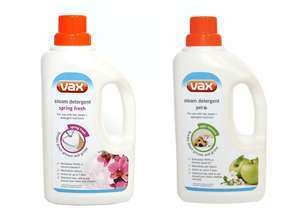 I'm sorry but Vax are Ok not fantastic this one is telling you on the label it's mediocre. Just to be clear I tested my vacuum cleaner against an old Kirby, Kirby is the best. the owner of the Kirby said they would happily live with my A rated Hover if the Kirby failed. LOL at the person who purchased 22.
does this come with a Urinary catheter or do you have to source your own? £6 for 500ml is expensive? This is spot on and I’ve never used their platinum solutions for exactly the same reason....damned expensive !! Use this and save a few quid... works absolutely fine in my platinum power max. We've got a more expensive model vax and the handle on ours was doing the same before it snapped off. With some regular maintenance we got three years use out of it. 2 years warranty, down from 6 years. Clearly no confidence in their quality. Absolutely horrific products and just as bad service! I’ve had about 8 hoovers and the warranty period isn’t even up yet! Ridiculous company, no idea how they stay in business. I bought a little Bush one from Argos last month - £42.99 and it’s got 10 times more power than any nonsense Vax product. Yellow sticker reduced to clear from £119 down to £99 but scanning at £30. Found in Tesco Hanley (1 still left on the shelf) not sure if nationwide. The product in the pic is a 22v product. The scanned item says 18v. Hanley store have said its £99. So you mustve scanned a different item to that pictured. The price can be specific to store, I had similar issue a couple weeks ago, one store one price and different at other! Oh! PEA. Now it makes sense. I thought you meant pee-pee. Because I wouldn't mop up a frozen pea!! Why don't you try using a mop to tidy up after yourself. Sounds like you might benefit from a visit to a urology department. He can go spin at 100,000 RPM on this &#x1F595;&#x1F3FD; What did we expect? He became a sir, that's it. Dyson: 'hello minions, would you like to pay me in the region of £500 so that you still have to do your domestic chores and get to look at the crap you vacuumed up when you hang it on a wall?' 'Why yes sir Dyson of Gloucestershire Singapore. Let me take out a Wonga loan so that I can pay you what you ask to help bump up your net worth to over £8bn so that you can buy yet more land' Look at where the guy lived in 2014: Do you see a Dyson hanging on his walls? Was anyone able to find these in stock? Me too. But I like the 2 year warranty. im with you on this one. i always go for the negative reviews first. the positive ones tend to be from people who have just opened the box and like how the product looks and possibly tried it once. she'll still want the dyson because... women. OOS at nearest 36 stores to me! None near me, but can be reserved at Stoke Longton store if anyone interested. I find Stardrops does a good job. Good find thanks! Agreed this is rarely on offer so will definitely be ordering! Worth it's weight in gold when the dog has diarrhea! never buy a cheap vax, i got one and it just wouldnt pick the water back up; sat in the corner for a few years before being thrown out. Quick review. No problems with Studio Cash-on-Delivery. It's misnamed -- they haven't asked me for money yet. The item works in principle. 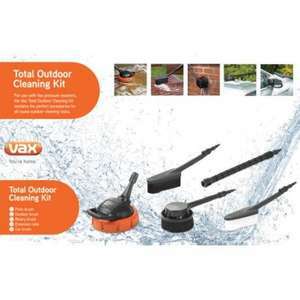 You can hand-scrub harder but the Vax is great for picking up the liquid mess after. You'll probably still need a dehumidifier/summer and even then the carpet takes a few hours to dry. Ground in dirt needs you to go over it ~3x. As ever, you can't tell it's clean until it's dry. You could just keep washing it until the waste water comes through clear I suppose. This version is flawed. The suction funnel is almost impossible to clean and gets clogged up with fibres. If you don't clean it, they'll end up back on your carpet, making black marks. The Pro has a detachable funnel. The big buttons for on/flex'squirt feel a lot cheaper than a modern vacuum cleaner but you're not expected to use it as much. 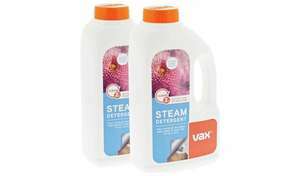 All carpet cleaners can use your own cleaning solutions which is vastly cheaper and great for different stains. Don't do this whilst you're still evaluating the machine. Mine has a leak so they're taking it back. Bottom line: if you can find the Pro ~£85, it's worth it. They haven’t!! Got a dispatch email today!! Will check the cleaner once it arrives and see how we get on! Not had any response yet, certainly no email to confirm my cancellation!